WARSAW – It was a banner day for Caleb Lung and the NorthWood Panthers Saturday at the Northern Lakes Conference Boys Golf Championships. NorthWood found itself two strokes better than Warsaw at the Rozella Ford Golf Club, 320-322, to land itself as champions of the NLC after both teams finished with 6-1 round robin records. Lung needed a 19th hole, but beat Chapman Yoder in a one-hole playoff for tournament medalist at 76 and the two lead the All-NLC selections for 2018. Lung and teammates Jacob Falk and Sean Hogan were chosen All-NLC while Yoder was the lone Pilgrim. Warsaw had Luke Delp and Sam Yeager named All-NLC while Chase Byron and Tommy Meier were given Honorable Mention All-NLC honors. Concord was third at 326 and had Jake Eakins as All-NLC and Matt Auger as Honorable Mention All-NLC. 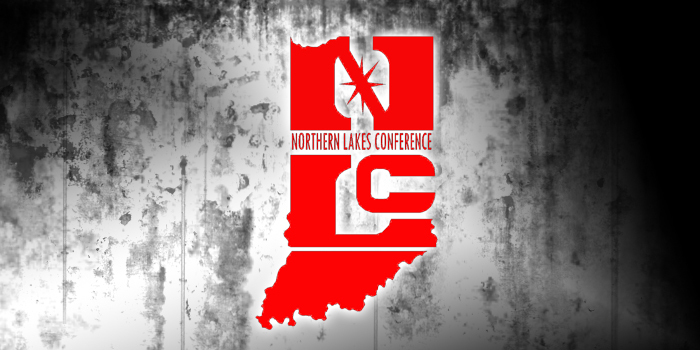 Goshen’s Peyton Cripe was chosen as All-NLC and Wawasee’s Zach Leedy was named Honorable Mention All-NLC. Plymouth (326), Northridge (363), Wawasee (370), Goshen (375) and Elkhart Memorial (406) rounded out the tournament scoring. Northridge and Memorial did not have a golfer chosen for the All-NLC lists.